Books related to ABBA’s live performances and used as sources for this site. Information about all recording sessions, including some bits about live performances and releases. Agnetha telling about her career, including several comments on concerts and touring. Pictures and trivia telling the ABBA story. those used for Heilemann’s first ABBA book ABBA. Eine Karriere in Bildern (which is out of print). Short reviews of all published songs, provides some information about the released live tracks. This book is for the more basic fan or can be used for quickly looking up some basic information. German version of Bright Lights, Dark Shadows. A colorful collection of pictures. Authorised book with many photos and statements about the 1979 tour. Reworked version of the Swedish book Succée på världs-scenen (1979). It's the only real tour book about ABBA, including many pictures and a diary with lots of details and anecdotes around the North American part of the tour 1979. An extra chapter was added with pictures of the Japan tour 1980.
apart from that not much regarding the tours. 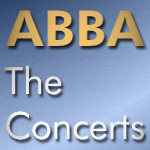 Features many tour pictures and also some comments on them by the ABBA members. Includes facsimile items and personal memories from the ABBA members. German version of ABBA. The Backstage Stories, this book is available in various languages with different titles and covers. Will be republished in 2018 with the gimmicks of the original version included as normal book pages. Features updated and new information about all recording sessions, including some bits about live performances and releases, additional chapters about accompanying facts and people. Not every article is breathtaking or even correct of course and there aren’t any unknown pictures. You also can find most of the content online. It's an archive disc for those like me who weren’t a Bravo reader, don’t collect the originals or just want to have it all in one place for quick access without spending the time and money for getting them in often bad condition.